I just love Valentia! I’ve liked every product of theirs that I’ve tried and this one is no exception. It is lightweight, absorbs quickly, and is easy to rub on to my face. The bottle is easy to use, and I don’t have any trouble getting exactly the amount of moisturizer that I want to use. I can apply makeup over this moisturizer without a problem and my face stays moisturized throughout the day. It has practically no scent, which I just love in my facial moisturizer. 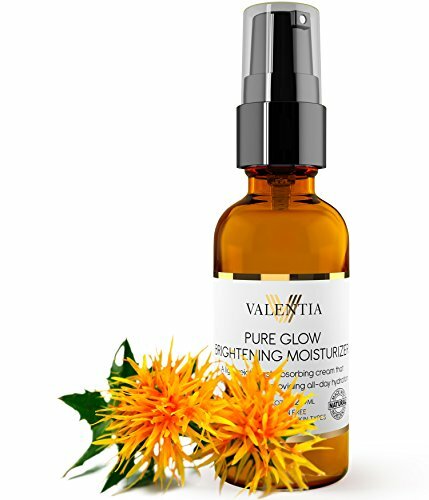 Valentia uses natural ingredients and the Valentia Pure Glow Brightning Moisturizer is working great on my skin. My face is moisturized, soft, clear, and bright. I’m loving this moisturizer. For beauty tips and ideas you can check out Valentia on Instagram and Facebook.